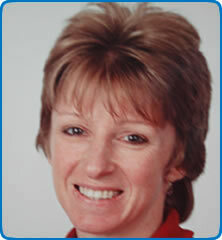 Dr Christina Laxton trained as an anaesthetist in the South West region before being appointed as a consultant at North Bristol NHS Trust (NBT) in 2002. She is the TPD for Assessment for trainees in the Severn PGME School of Anaesthesia, the LTFT (Less than Full Time) Training Advisor for the School and a member of the Specialist Training Committee. At NBT, she is also the LTFT Training Champion and Joint SupportRTT (Return to Training) lead, a consultant appraiser, and recent Chair of the Trust Transfusion Committee. Dr Laxton has a specialist interest in obstetric anaesthesia and is a Faculty member of PROMPT Maternity Foundation (promoting multi-professional training for safer childbirth). Her other interests include promoting Less-than-full-time Training, trainee support, multi-professional training and blood conservation methods.